The Avebury White & Red Mini Pot provides the ultimate home for hot sauces or mini portions of your favourite dishes. 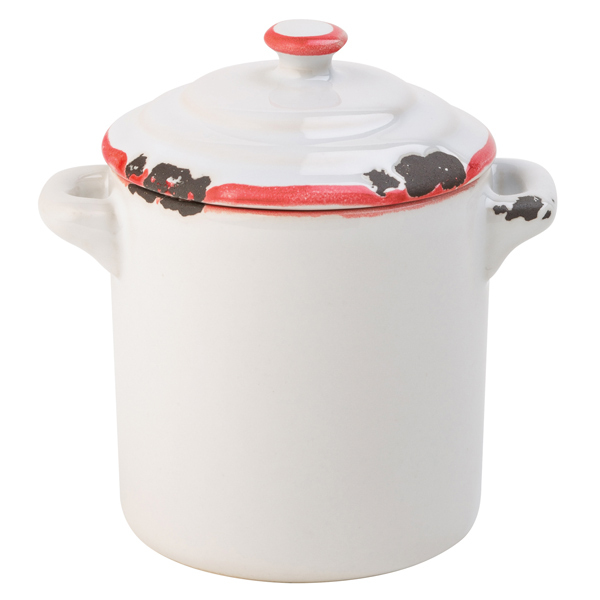 With vintage style enamel stoneware, these sauce pots offer a truly retro design. Perfectly on trend with the latest food presentation style, these mini casserole dishes are ideal for placing on rustic wooden boards.